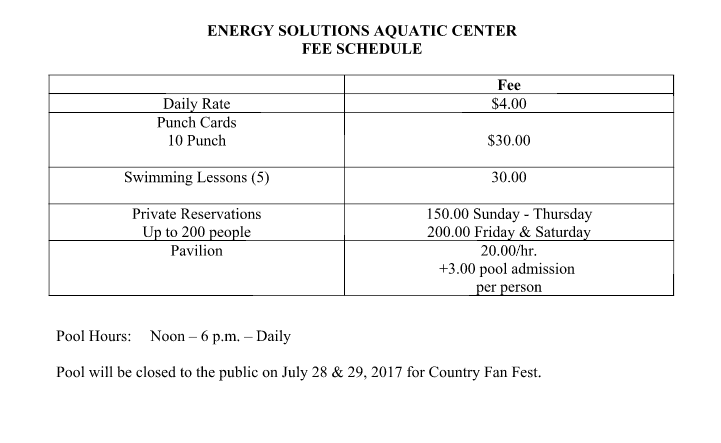 The Energy Solutions Aquatic Center is great for all ages and skill levels. Make sure you check out our swimming lessons. Our staff is certified and follows guidelines recommended by the American Red Cross. At the Energy Solutions Aquatic Center we believe safety first at all times. Featuring an eight lane Olympic size pool and a wading area with three water features and a water slide. The outdoor swimming pool at Deseret Peak combines water, sun, and fun. Our swimming lessons are a terrific way to teach your children necessary water safety skills. We offer private party reservations, birthday party packages. Don’t forget to check out our calendar for upcoming special events. Whether you’re joining us for a family reunion or just a lazy day at the pool, we will make your visit exceptional. If you have any further questions, please feel free to contact us at (435) 843-4035. Pool Hours: Sunday – Saturday: Noon – 6 p.m.